Police officers from Del Carmen Municipal Police Station led by PO3 Ramil T. Polvorosa arrested a certain Richard S. Espanto of legal age, single and a resident of Brgy. 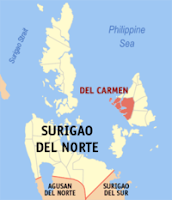 Lobogon, Del Carmen, Surigao del Norteby virtue of warrant of arrest issued by Hon. 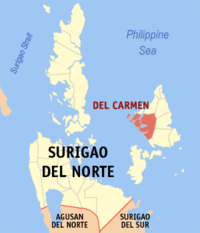 Exequil L. Dagala, Executive Judge of 10th Municipal Circuit Trial Court of Del Carmen, Surigao del Norte for Acts of Lasciviousness under criminal case number 2010-10.